Samkhya, (Sanskrit: “Enumeration” or “Number”) also spelled Sankhya, one of the six systems (darshans) of Indian philosophy. Samkhya adopts a consistent dualism of matter (prakriti) and the eternal spirit (purusha). The two are originally separate, but in the course of evolution purusha mistakenly identifies itself with aspects of prakriti. Right knowledge consists of the ability of purusha to distinguish itself from prakriti. [Britannica]. The Samkhya school assumes the existence of two bodies, a temporal body and a body of “subtle” matter that persists after biological death. When the former body has perished, the latter migrates to another temporal body. The body of subtle matter consists of the higher functions of buddhi(“consciousness”), ahamkara (“I-consciousness”), manas (“mind as coordinator of sense impressions”), and prana (“breath,” the principle of vitality). Samkhya posits the existence of an infinite number of similar but separate purushas, none superior to any other. Because purusha and prakriti are sufficient to explain the universe, the existence of a god is not hypothesized. The purusha is ubiquitous, all-conscious, all-pervasive, motionless, unchangeable, immaterial, and without desire. Prakriti is the universal and subtle nature that is determined only by time and space. Few days back in an FM Radio Talk Show, the guest speaker appeared to be influenced by “SANKHYA PHILOSOPHY”, the philosophy by a 6th century BC Indian philosopher ‘Kapil’. The guest speaker focused on the ‘Individual Self’ and emphasized ‘Inner Self Actualization’ [also found in derivative philosophy of Yoga]. Though apparently the talk was interesting, with an effort to make it acceptable to the listeners with a tint of Islam, it may not be as such. It is trendy to label the various philosophies and products with Islam and Islamic symbols, to tone down the resistance and to make them acceptable for the simple innocent Muslims, i.e. Islamic Socialism, Makkah Cola, Medina Cloth House, Iqra School etc. These things may have nothing to do with Islam, but merely a market promotion tactics. It must be remembered that Islam is a complete Din. available to humanity in the form of guidelines provided in Qur’an and Sunnah of Prophet Muhammad [peace be upon him]. 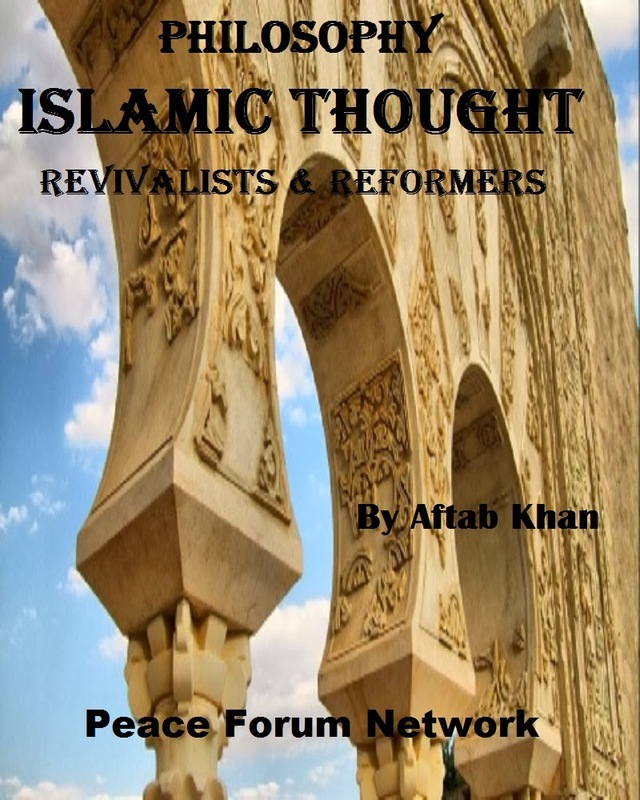 Muslims do not require support form human philosophies in the matters of faith [Eyman]. Any such effort may lead the simple people astray as Allah says: “…This day have I perfected your religion for you and completed My favor unto you, and have chosen for you as religion AL-ISLAM…. (Self surrender unto Allah)” (Qur’an;5:3);”Surely, the true religion in Allah’s sight is Islam” (Qur’an;3:19) and “Whoever desires a religion other than Islam, it will never be accepted from Him, and in the Hereafter he will be among the losers” (Qur’an;3:85).
. The reader has to make use of his/ her intellect to distinguish the false from truth: “And say: “Truth has (now) arrived, and falsehood perished: for falsehood is (by its nature) bound to perish.”(Qur’an;17:81).